ODI Grip Blowsion Logo Lock Ring End Cap Combo- now you can have the anodized bling look all the way through to the end cap. 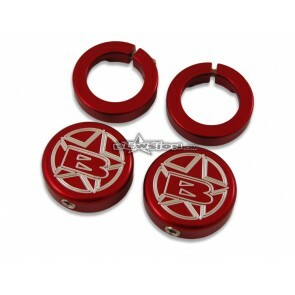 Each kit includes inner lock rings, and outer lock ring/caps w/ hardware. 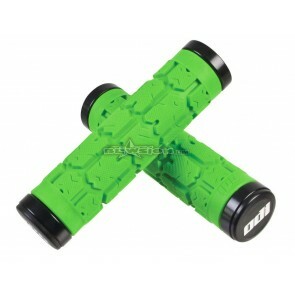 Xtreme Grips from ODI. New Graphite Grey Grip design. Starter kits come with Carbon Silver ODI Lock On Clamps and ODI’s new Snap Cap end caps. 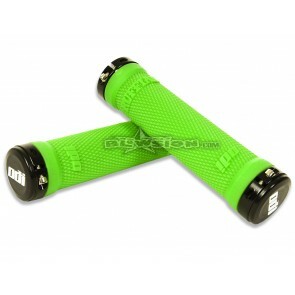 These grips feature a tapered knurl pattern that is larger and deeper where you need more traction. 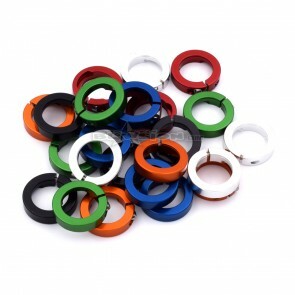 Anodized billet aluminum lock rings from ODI. Custom Blowsion anodized colors to make all your friends jealous. 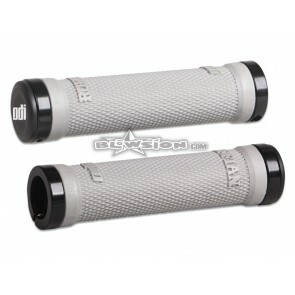 Fits all ODI Lock-On grip system grips. 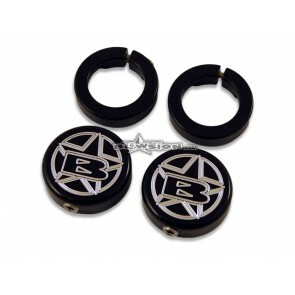 Each package contains 4 lock rings and stainless allen fasteners. The ODI Cross Trainer 130mm Lock-On Grip Set features soft comfortable rib patterns interlaced with a thicker criss-cross pattern for a soft feel without a loss in control. Made in the USA! The ODI Rogue 120mm with 3/4 flange handlebar grips from ODI feature a solid design with a soft rubber shell for maximum traction and comfort. Billet Locking collars on both sides of the grips keep them securely in place. The ROGUE 130mm (no flange) black handlebar grips from ODI feature a solid design with a soft rubber shell for maximum traction and comfort. 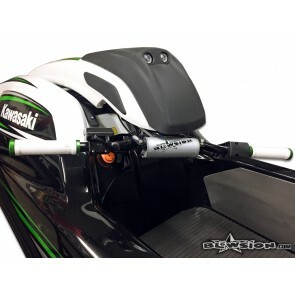 Billet Locking collars on both sides of the grips keep them securely in place. Available for a limited time only exclusively through Blowsion! 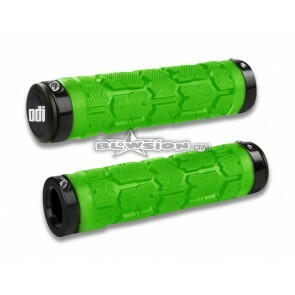 ODI Rogue 130mm Length No-Flange Lock-On Grip System Starter Pack - Limited Edition Green. 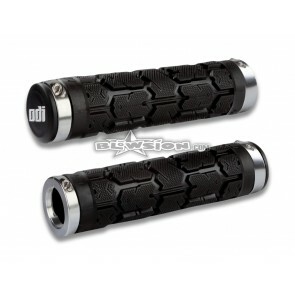 The ODI Ruffian 130mm Aqua (no flange) Lock-On handlebar grips from ODI feature a solid design with a soft rubber shell for maximum traction and comfort. 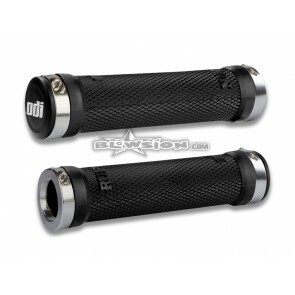 The ODI Ruffian 120mm (with 3/4 flange) handlebar grips from ODI feature a solid design with a soft rubber shell for maximum traction and comfort. 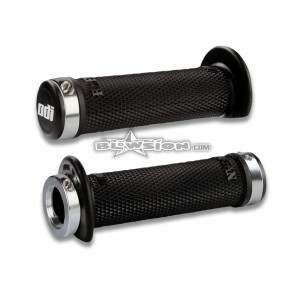 Anodized Billet Locking collars on both sides of the grips keep them securely in place. 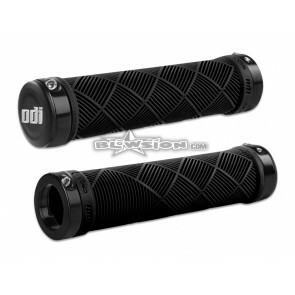 The ODI Ruffian 130mm Black (no flange) handlebar grips from ODI feature a solid design with a soft rubber shell for maximum traction and comfort. 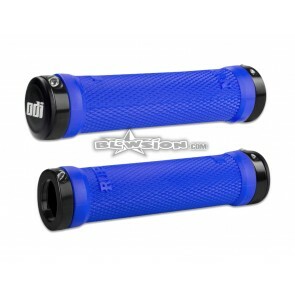 The ODI Ruffian 130mm Blue (no flange) Lock-On handlebar grips from ODI feature a solid design with a soft rubber shell for maximum traction and comfort. Available for a limited time only exclusively thru Blowsion! 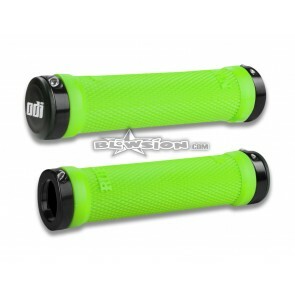 ODI Ruffian 130mm Length No-Flange Lock-On Grip System Starter Pack - Limited Edition (Green). The ODI Ruffian 130mm Grey Super Soft Compound (no flange) Lock-On handlebar grips from ODI feature a solid design with a super soft rubber shell for maximum traction and comfort. Made in the USA! 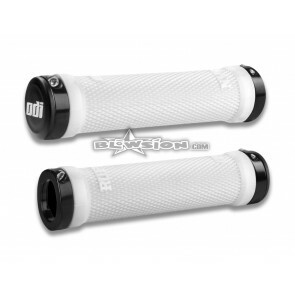 *Limited Edition* ODI Ruffian 130mm White No-Flange Lock-On Grip Starter Pack.